We live in a really toxic world. From the air we breathe to the food-like products we eat to beauty & cosmetic products, toxins are all around us. We can't avoid all toxins, but we can avoid a large percentage of them. Toxins cause all sorts of health problems and disease. By reading the label on everything you purchase you will quickly realize how toxic the majority of the ingredients are. Prevent disease and chronic health problems by being proactive with what you put in your body. From toothpaste to Rx & OTC drugs to food and drink, make your health a priority so you can live well and happy! 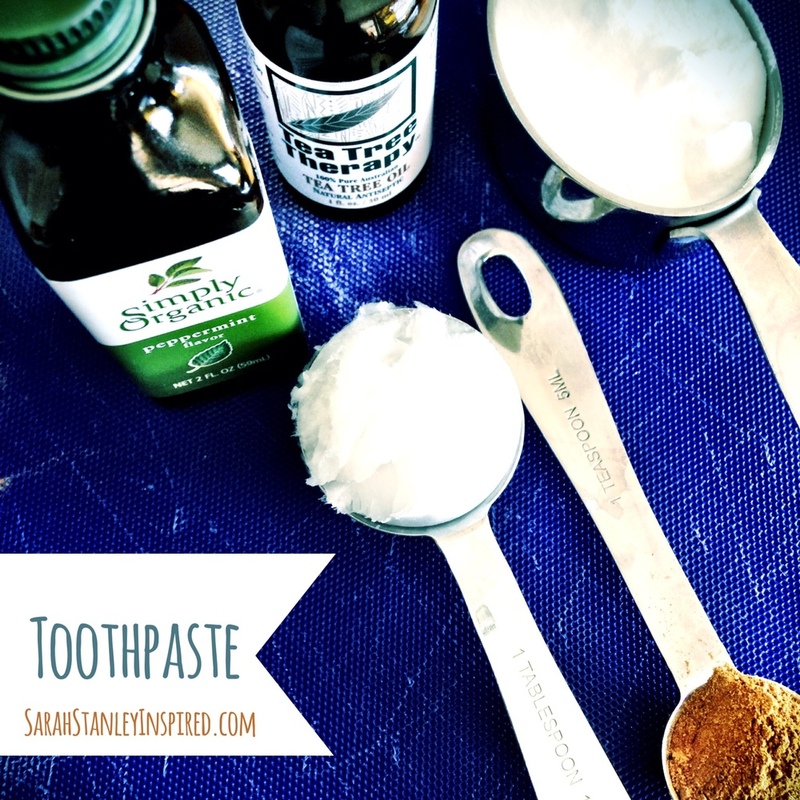 If you read this article you will know that commercial toothpaste is very toxic. And making your own is very easy, very simple and toxic free! To use: Simply scoop a little of the paste on your finger and onto toothbrush. Or dip your toothbrush in the little glass dish. After you brush your teeth, simply rinse with water. (No toxic mouthwash!) And if you oil pull in the morning that is one of the best things you can do for oral health!